'Mill Girls' is a collection of poems remembering and celebrating the passion and resilience of the women who worked in the thread mills and the making of a town. A group of writers from Renfrewshire, intrigued by the industrial and social history of the area, created and performed poems in the Paisley Thread Mill Museum. 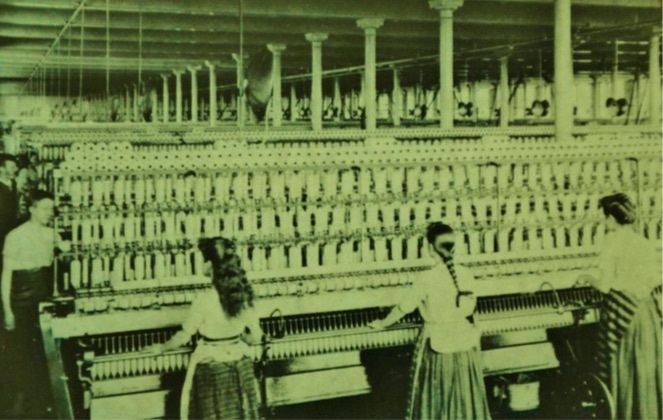 At the museum, the stories of the thread mills are found in photographs, memorabilia and conversations of the men and women who had worked there. The toil and pride of their labour and the hardships and pleasures of their lives inspired the poets and the formation of the original Mill Girls: Tracy Patrick, Gwen McKerrell, Kathryn Daly and Mo Blake. The Mill Girls is a wonderful project of creativity and collaboration and one which Weaving Musical Threads is proud to be a part of. 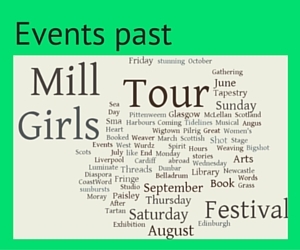 It started with locally inspired poetry written and performed for the WMT arts festival in 2012, and has become the dramatisation “Mill Girls on Tour” that is being performed in locations across the UK. 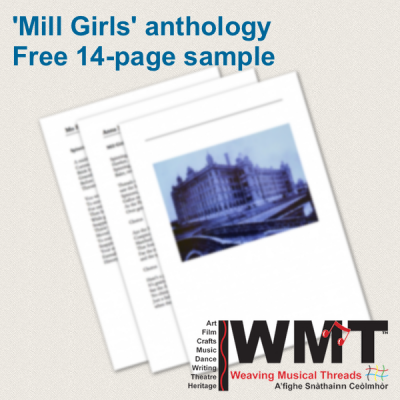 One of the members of the production is musician and singer songwriter, Anna McDonald, whose lyrics for Mill Girls Song, commissioned by WMT, are included in this anthology.